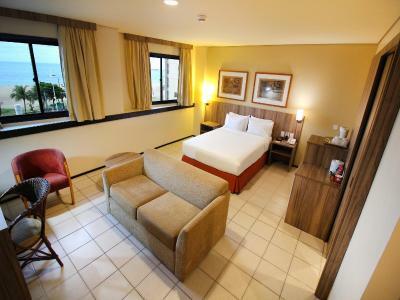 Lock in a great price for Holiday Inn Fortaleza – rated 8.6 by recent guests! Great location opposite the beach, literally across the road. Beautiful beachside promenade. Amazing view, super friendly staff, great gym, pool and steam next to pool with glass walls! Comfy beds, great facilities. Great restaurant on ground floor, we ate there, delicious and about 90 Real for 2. Staff, location, seaside view, buffet breakfast that was included. Room espace and facilities adequate, coffee break quite good, location exceptional. In general, very good value for money. Amei a Vista do quarto. E principalmente o excelente atendimento de todos os funcionários. Excelente ubicación. Habitación enorme con camas cómodas, muy buena atención del personal. El hotel muy bien ubicado, la zona muy concurrida, me pareció segura. Debo destacar su gimnasio. 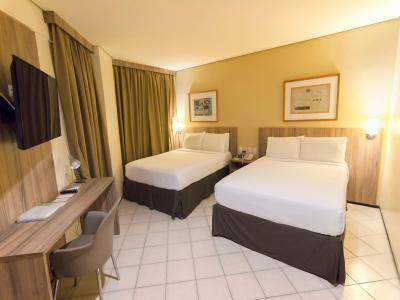 Holiday Inn Fortaleza This rating is a reflection of how the property compares to the industry standard when it comes to price, facilities and services available. It's based on a self-evaluation by the property. Use this rating to help choose your stay! 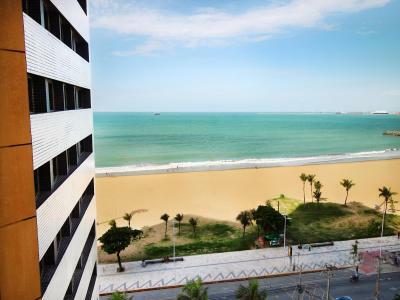 One of our top picks in Fortaleza.This oceanfront hotel offers leisure activities and spacious rooms with internet access, overlooking scenic Iracema Beach. It features a pool with sea view and sun terrace and modern gym. 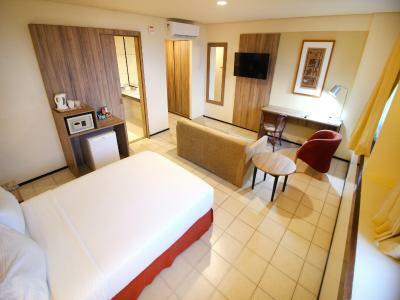 Rooms at Holiday Inn Fortaleza have air conditioning, a coffee maker, cable TV, and a work desk. Guests at Holiday Inn can enjoy a relaxing massage. Facilities include a game room and kids club. A breakfast with cereals, fresh fruits and pastries is served. Guests may select from 2 restaurants and a lobby bar serving classic cocktails, and room service is available. For leisure, the Dragão do Mar Cultural Center, Museum of Modern Art and Handicraft fair are all 0.6 mi from the hotel. Fortaleza center is 1.9 mi away. Holiday Inn is 9.3 mi from Pinto Martins Airport. It offers free parking. 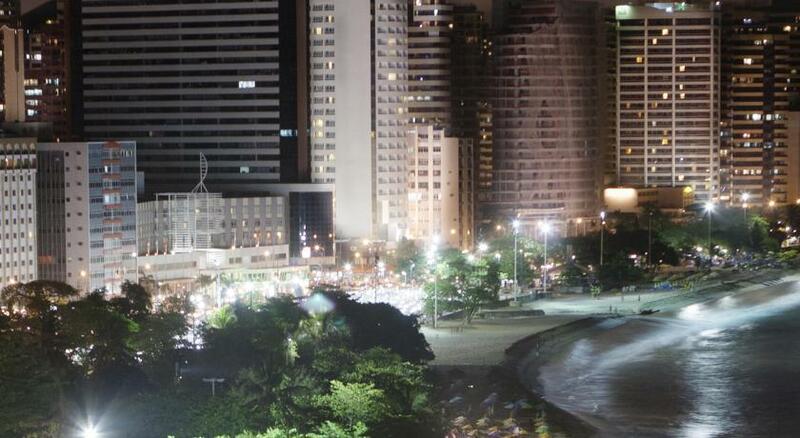 When would you like to stay at Holiday Inn Fortaleza? This air-conditioned room features an LCD TV with cable channels, minibar, safe and telephone. 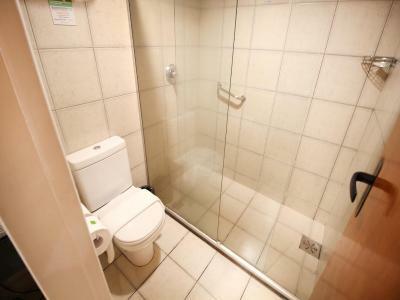 The bathroom comes with a hairdryer. Wi-Fi is free. With sea views, this air-conditioned room features a 32" LCD TV with cable channels, minibar and desk, as well as coffee-making facilities. 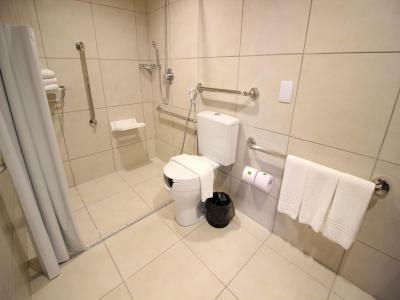 The bathroom comes with a hairdryer. Wi-Fi is free. This air-conditioned room features a 32" LCD TV with cable channels, minibar and desk, as well as coffee-making facilities. The bathroom comes with a hairdryer. Wi-Fi is free. 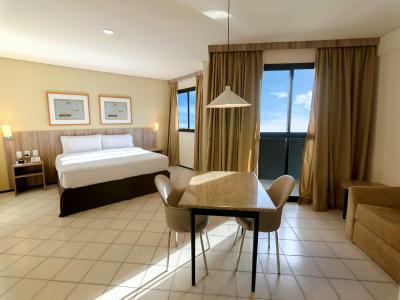 Featuring panoramic sea views, this air-conditioned room features a 32" LCD TV with cable channels, minibar, king bed, as well as coffee-making facilities. The bathroom includes a hairdryer. Wi-Fi is free. 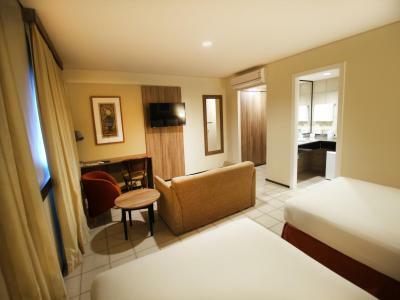 This double room features a mini-bar, air conditioning and cable TV. 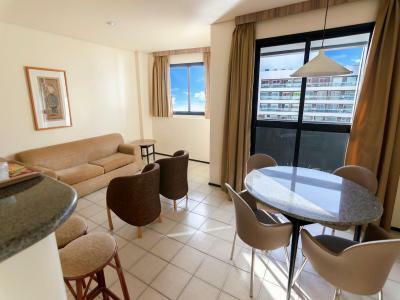 Hotel surroundings – This neighborhood is a great choice for travelers interested in beach walks, promenades and shopping – Check location Excellent location – show map Guests loved walking around the neighborhood! House Rules Holiday Inn Fortaleza takes special requests – add in the next step! Holiday Inn Fortaleza accepts these cards and reserves the right to temporarily hold an amount prior to arrival. Please note that the hotel is strictly nonsmoking throughout. Please contact the property for further details. My a/c wasn't working that well. Staff was responsive though, so i really can't hold that against them. Hotel staff promised to open a window and never showed up. Close to the beach and had a great bar. A little rundown for a four star hotel. The view from our room was superb! The rooms are filthy and have a real bad tate. Not confortanle at all. My room was book people of the hotel don't let my wife and child to stay there!!!! !